deserted palace, originally uploaded by electricnerve. 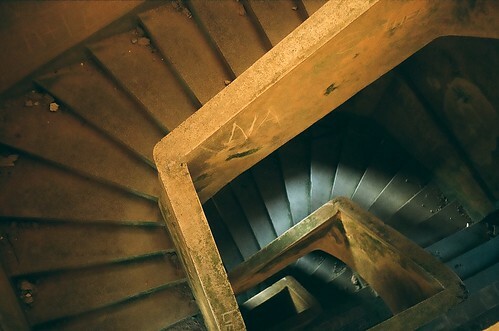 I’m a sucker for photos of cool staircases, and this concrete one from Cambodia (which was shot on a $15 camera according to the description) is just great. I love the way that the light shines into the stairway in the lower levels.